Since 1969, The National Legal Research Group has assisted more than 50,000 attorneys nationwide on over 170,000 projects, including cases specific to Illinois legal research. Our team is made up of full-time legal research attorneys who are specialized by areas of law and average over 20 years of experience per attorney. Our mission is to to provide solo practitioners, corporate counsel, large firms, and all other attorneys with quality research, writing, and expertise, at an affordable price. No matter what stage of the litigation process your case is in, our team of attorneys at the National Legal Research Group are ready help you with your document review needs. We regularly help our clients save time by reviewing numerous documents quickly and estimating upfront costs so that your deadlines are met at a price you can afford. Our experienced team of legal research and writing attorneys includes seasoned experts in providing state and federal court compliant briefs, complete with all of the necessary legal arguments and components. NLRG also offers appellate brief compliance review and filing services with The Lex Group, to ensure that your brief meets all jurisdictional requirements and guidelines. 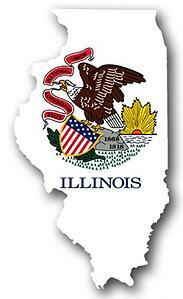 Our Illinois law research attorneys also operate as detailed technical legal writing experts. With an average of over 20 years of experience per attorney, we boast a wealth of skill in preparing briefs in every state and federal court, including Illinois state courts. Our attorney group is ready to provide the extensive legal research and writing for your trial briefs, to provide you with the extra edge you need to increase your chances of winning your case. Since 1969, attorney-clients have been relying on us for support with pleadings in every state and federal court, including Illinois. We prepare pleadings and responses thereto, post and pre-trial motions, motions to quash, motions to strike evidence and testimony, emergency pleadings, and a wide variety of other legal motions. Our attorneys at NLRG readily assist with preparing persuasive legal memoranda complete with all of the relevant legal facts and arguments, binding authorities, and citations. Our team regularly prepares unbiased legal memoranda for case evaluation, trial and appellate preparation, and for transactional analysis purposes. Receiving your reports through telephone or email provides you with access to the legal research expertise of our attorneys for professional analysis of legal issues when a written product is not critical. Our telephone or email report service also provides a simple, frugal alternative to some of our more complex and detailed product packages. By letting NLRG partner with you, you give yourself the gift of a lighter workload, the ability to meet your deadlines without added stress, and a way to regain control of your busy schedule. Contact our team of attorneys to see how we can help you today. "As always, Anne did an exemplary job. Quick, concise, thorough, very much to the point. We appreciate her a lot." "Brett Turner was exceptional - prompt, thorough and professional." "Your attorney was very professional and timely in completing this project. His synopsis was succinct and extremely helpful." "Your attorney was very helpful and pleasant." "The work is excellent. It covers each and every point that is involved in this case. I believe, withouot fear of contradiction, the court will rule favorable on each and every motion. Thank you for the Brief and the support."